OKLAHOMA CITY – American Public Television (APT), the original home to television’s culinary experts, and sponsor of the Create Cooking Challenge, announced today that two new “stars” have joined its ranks. Selected from hundreds of entries by judges who are some of public television’s best known chefs, Jaime Isobe of Brooklyn, New York, is the Grand Prize Winner, receiving $1,000 to finance the completion of a 10-episode web series for CreateTV.com. Second Prize Winner, Erin French of Freedom, Maine, was awarded $250 to fund a 3-part web series for Create’s website. The contest focused on two-minute video submissions by professional and home chefs. 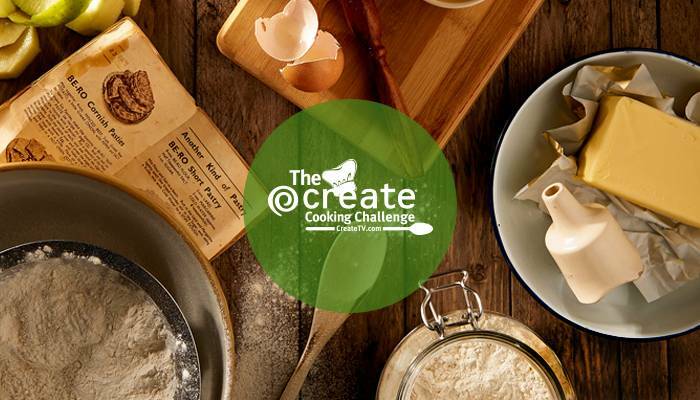 Distributed and produced by APT, with WNET New York and WGBH Boston, Create is a national channel carried by 227 local public television stations and features lifestyle content: cooking, travel, home improvement, gardening and arts & crafts. Joining the winners’ circle were 16 entrants from across the country, including Oklahoma Educational Television Authority’s Create viewer, Njeri Wright, of Edmond. Njeri’s entry – Njahi-Turkey Stew with Pilau Rice – placed 15th in the competition. You can see it here. Njeri’s video is also posted to CreateTV.com where you may see all the winners’ entries. Cooking Experience: I love to create and cook delicious, tasty and healthy homemade meals for my family and friends. I love a challenge and experiment a lot! Why I entered the Create Cooking Challenge: I’m inspired by the Create TV chefs as they share easy cooking techniques with different foods and unique ingredients from around the world.